Eminem in Montreal or Quebec City? Inform me about the next events for Eminem. Enroll yourself to our priority waiting list for Eminem to be alerted when new tickets are available. Filling this form doesn't engage you to any purchase. 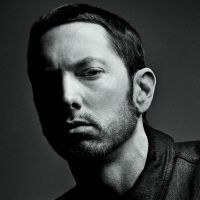 Having sold over 80 million copies of his albums worldwide, Eminem is certainly one of the most popular artists of the past decade and continues to draw massive crowds to his rare concerts. Don't miss the eventual return of Eminem !